Conditioning mask with extract of macadamia nut and shea butter. 700 ml. A formula conceived to revitalise, nourish and repair the hair from within, leaving it soft, absorbent and with infinite shine. 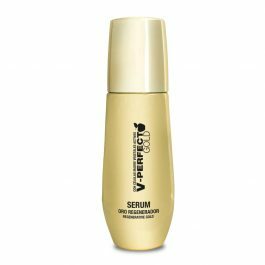 GOLD SERUM FOR REGENERATED AND INTENSELY LUMINOUS SKIN. Regenerating concentrate, to nourish, repair and tighten the skin. 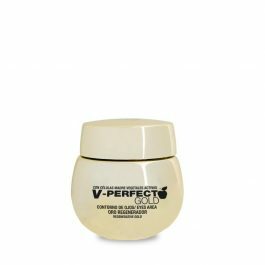 Progressively adds density to skin, fills out wrinkles and promotes elasticity. Anti-aging facial lifting. 2ml. Therapy. 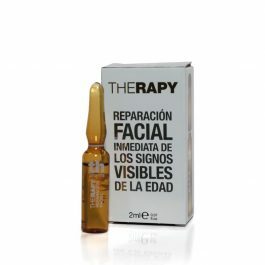 Intense and immediate repair against visible signs of aging. For dry, delicate and sensitive skin. TRIPLE EFFECT: Moisturises – Firms – Skin-lifting effect.